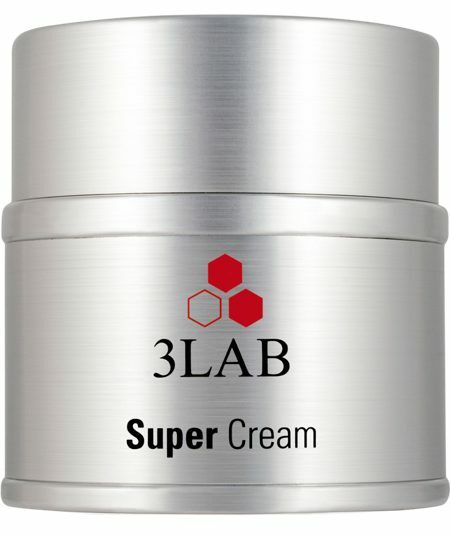 3Lab has always enjoyed the reputation of being on the cutting edge of technological advances in skin care. This distinction was the reason Lucire eagerly awaited the intro of 3Lab’s newest product, Super Cream, at the Thompson in Beverly Hills. This is the same Super Cream which has recently captured the attention of royalty: HSH Princess Charlène of Monaco is on record as incorporating it into her skin care regimen, along with other 3Lab products. Erika Y. Chung, co-founder of 3Lab, led the presentation and what she revealed proves that her company has set the bar extremely high for skin care standards, exclusive of injections, lasers, or plastic surgery. According to Chung, Super Cream consists of several powerful elements, a number of them plant derived, non-synthetic, and, therefore, harmonious with your skin’s natural chemistry. Ingredients that fight inflammation and heal damaged cells were also selected in the creation of Super Cream—not at all surprising coming from Miss Chung, whose firm belief is ‘healthy skin is good skin’. • Dragon Blood is extracted from the sap of a flowering plant and is known for its anti-inflammatory and healing properties. Chung asked the rhetorical question, ‘How does Super Cream maximize the benefits of its powerful components to your skin?’ She then pointed out the answer: X50 and ITD (Intelligent Targeting Device), the “smart” technology unique to Super Cream. Both serve to deliver crucial elements directly to damaged skin cells that have been affected by the ageing process. In doing so, the process of rejuvenation and healing is accelerated and empowered. The experience of Super Cream proved to be quite the revelation. What was most surprising wasn’t its delicate pleasing scent (described by more than one journalist as ‘heavenly’), or even how uncommonly smooth my hands felt upon the first application. What was most surprising about Super Cream was that it seemed to be working immediately. I saw for myself its softening effect on some of the fine lines on my hand. I couldn’t help but wonder: if with short-term usage, the effects were so remarkable, what would the effects of longer term usage be? Much has been made of the price tag of Super Cream—$875 for a 1·7 oz jar. However, if this is indeed the product that will spare us from the agony of lasers, injections, and chemical peels and the unpredictability of plastic surgery, then its value is far above its price. Super Cream is available in the United States exclusively at Barneys New York. The 3Lab line of skin care is available worldwide via their website, www.3lab.com. Elva Zevallos is a Los Angeles-based contributor to Lucire.